From Reeves on Facebook. Photo by Kan Lailey. A new look for Reeves? :) And another shot on Instagram. From Carlos: "I need help from fans of The Cure. I'm trying to get Just Like Heaven song to become the official anthem of the exhibition Pop idols in my city, Valencia (Spain), to achieve this I have to add more LIKES than Depeche Mode, Nirvana, and Soft Cell, if you want to participate in the election opens the link I put at the end, after the publication of the video search called THE CURE - JUST LIKE HEAVEN, and click LIKE." Well done! The Cure have taken the lead, but it's still very close. If you haven't clicked LIKE yet, make sure you do before tomorrow. 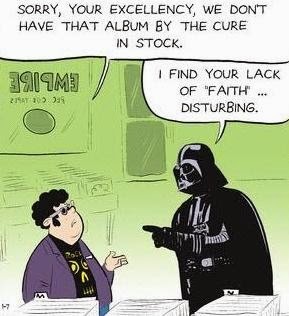 "I find your lack of 'Faith' disturbing"
From XFM: Suede are playing, there’s a comedy night featuring Micky Flanagan, Jason Manford and John Bishop and The Cure will be performing two very special shows. You'll be able to win tickets to these shows, plus help us raise money for XFM's Fund For Teenage Cancer Trust all this week on XFM. PLUS... We're giving one lucky winner the chance to WIN A BOX at The Cure's show on Saturday 29 March - that's tickets for you and four mates to watch this mammoth three-hour gig from some of the best seats in the house. We've taken TEN Cure album covers and cropped a tiny detail from each one and stuck them in a very special gallery. All you have to do is name the album. Think you know which albums they are? Pick your answers from the multiple choice selections below, input your details and hope for the best. Good luck!" And listen all week for your chance to win tickets to the show. 104.9FM in London, 97.7FM in Manchester, on digital radio around the UK, via the apps or via XFM.co.uk. Good luck! Notice how Tim, master of subterfuge, distracts everyone with a photo of Robert, while avoiding giving up the secret source of the blue hat. 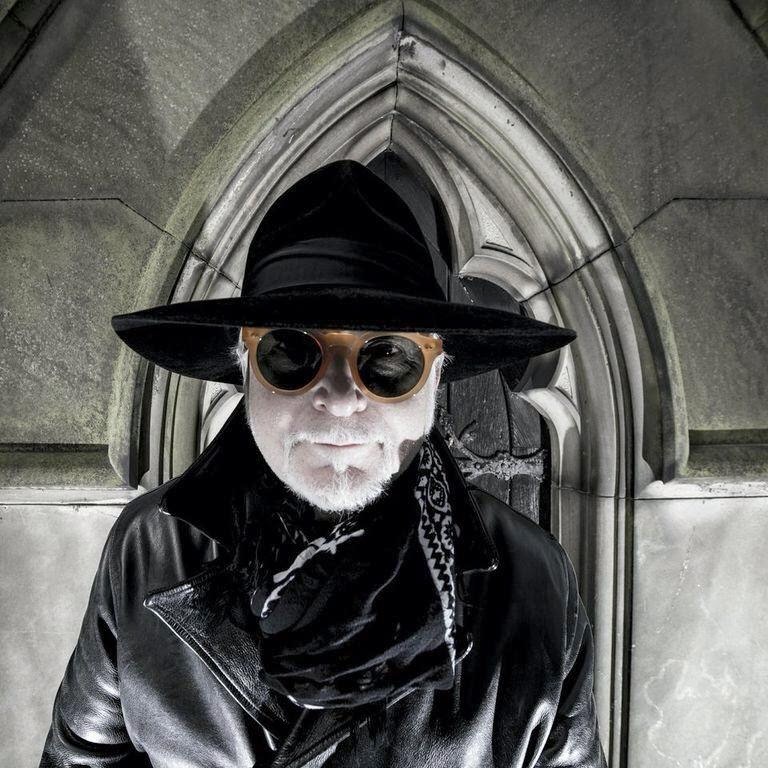 I was honoured to sing a duet with Robert Smith on the track ‘ Just Say Yes’ which is on The Cure’s Greatest Hits Album.we did a video and I performed with them in Paris." I was honoured to sing a duet with Robert Smith on the track ‘ Just Say Yes’ which is on The Cure’s Greatest Hits Album.we did a video and I performed with them in Paris.